An observational painter of still lifes, interiors and landscapes, Christine Lafuente's alla prima paintings are generously painted canvases which capture compositions with gestural realism. 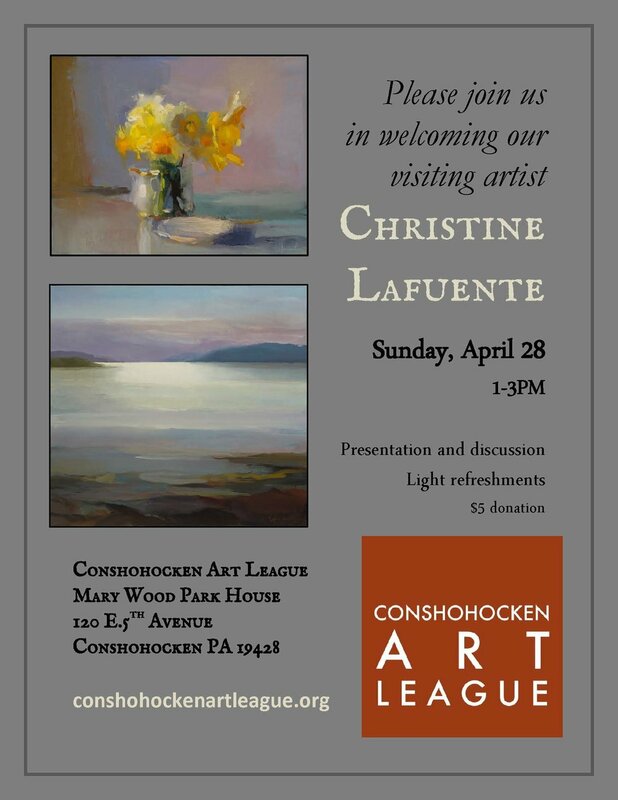 Join us in welcoming Christine's presentation of her work as well as the opportunity to enter into a discussion with her about her approach, methods and inspiration. Original paintings, prints, drawings, photographs, and handmade crafts for sale. Unique cars, trucks, and motorcycles on display.